Need more apps for your favorite device? iOSnoops can help! Here are 70 iPhone and iPad apps that have just gone free. 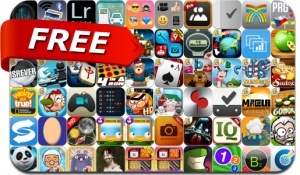 This apps gone free alert includes Barnyard Mahjong, Ready Steady Bang, Final Fury Pro, Mahjong Deluxe, ChinaTaxi, Ultimate Hangman, Ultimate Word Search, When Pigs Fly, Craziness, Quickstart Lightroom 4, Game Your Video, Rainbow and many others.